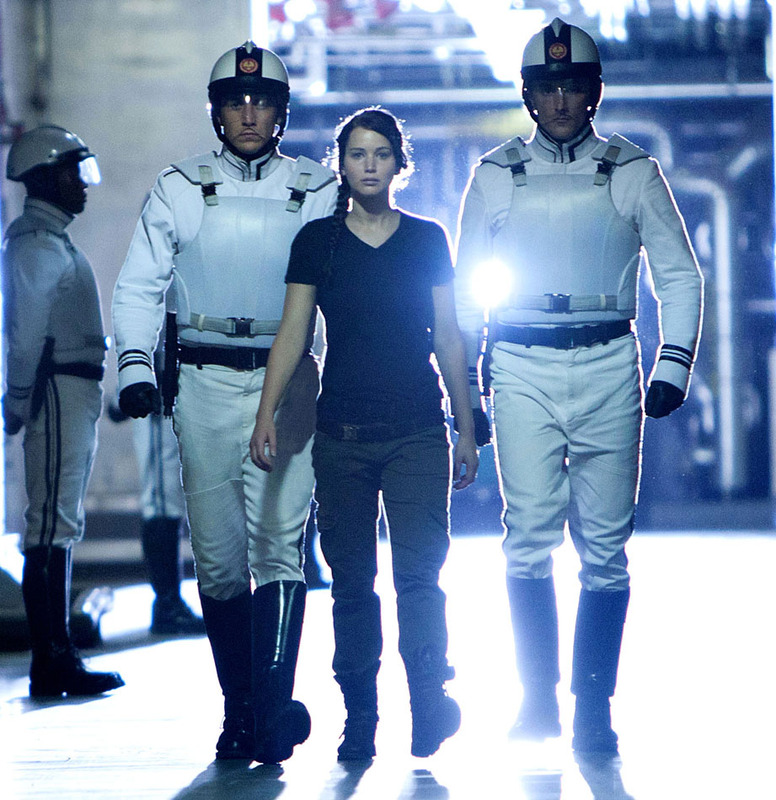 Despite all the hoopla around the book and movie "The Hunger Games" I have yet to read the book or see the movie. Its not that I'm not interested in it, because I am, Its the pure fact that I have 2 kids and a husband who works odd hours and isn't always home when a baby sitter is available. 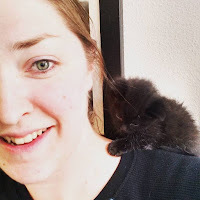 I have it on good authority though, that my friend Amy will take me to see the movie soon. So until that day, I am reduced to watching youtube clips and searching for ways to look like Katniss on pinterest. 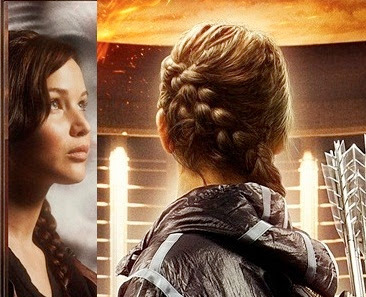 During one of my searches I came across the Katniss braid which I didn't even know she had because i haven't seen the movie. 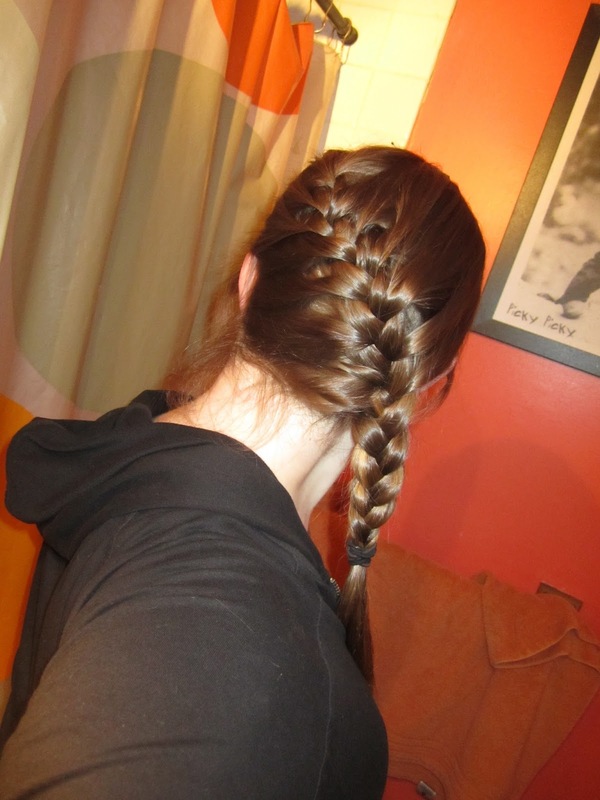 Let me tell you, its awesome and fairly easy to do, if you know how to french braid. So, sitting in front of my computer after watching a tutorial on how to do such braids (Which in my opinion is self explanatory) I braided my hair. Just like that. Usually when I do anything to my hair without watching what i'm doing in the mirror it looks like poo, but this time I was extremely surprised. 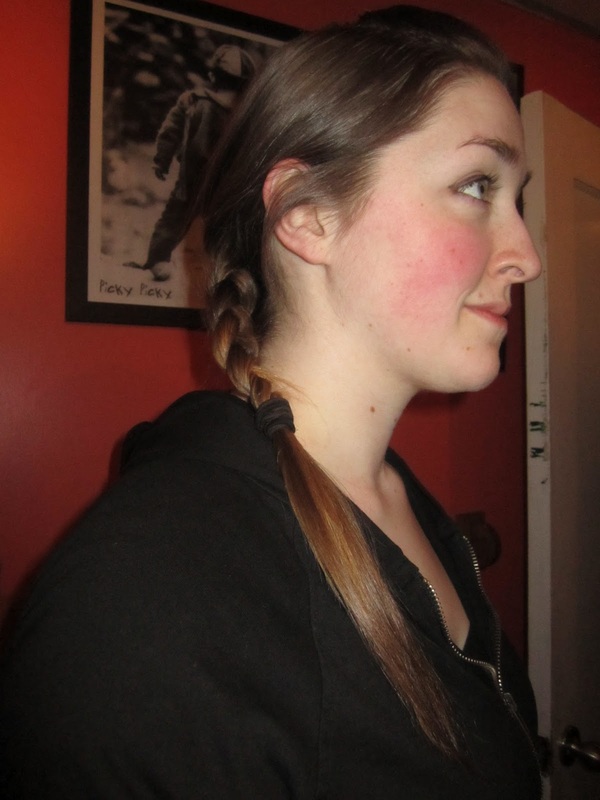 I must have channeled my inner Katniss since it was actually a braid that was worth wearing out in public. To bad it was 7:30 at night and I was home alone with the kids. A waist of a good braid. Makes me want to grow my hair longer so the braid can wrap around my shoulder more. Good thing that's what I was planing on doing before this happened. After I put the kids to bed, I felt ambitious, still channeling my inner Katniss I found an outfit that I could pull off. I had a pair of green pants from my teen-hood that were a little wide legged but I could fix that and a pair of boots that wen't a little higher up the leg. Last but not least, I unfortunately couldn't find a black v neck t-shirt, so that will be my next thrift store hunt with maybe some shorter boots. So, to sum it all up. I've got the Katniss hair and half the outfit, now all I need to do is learn how to shoot a bow and arrow. Maybe I'll stick with reading the book, it sounds a little less dangerous. Such gorgeous, shiney hair you have! This braid actually looks even more amazing if you use the dutch version of french braiding- putting the strands under instead of over each other, as it were. In either case, loving this look!